These days, when you see an airline executive’s comments about his line’s future strategies, you’re apt to see a lot of stuff about “alliances.” That’s no surprise; alliances are becoming increasingly important to the airlines … and to you, as travelers. And although they’ve been expanding recently, some holes remain. 17 members. North American anchors are United, US Airways, and Air Canada; others include intercontinental lines Air China, Air New Zealand, ANA, Asiana, Austrian, Avianca/TACA, Brussels, Egyptair, LOT Polish, Lufthansa, SAS, Singapore, South African, Swiss, TAM, TAP Portugal, Thai, and Turkish; regional lines Adria, Aegean, Blue 1, Copa, Croatia, and Ethiopian; plus future members EVA and Shenshen. 11 members. U.S. anchor is American Airlines; others include intercontinental lines Air Berlin, British Airways, Cathay Pacific, Finnair, Iberia, Japan, LAN, Qantas, Royal Jordanian, and S7; plus future members Kingfisher and Malaysia. These lineups are likely to change soon. TAM and LAN recently merged, and the industry speculates they will wind up in the same alliance (most likely Star). And if US Airways merges with American, the merged company would probably remain with Oneworld. For now, all three alliances have big “holes.” None has a member in the Indian subcontinent or the Gulf states. If LAN moves to Star with TAM, neither Oneworld nor Skyteam will have a big presence in South America. Skyteam lacks a strong presence in the South Pacific, while Star lacks a Russian member. Alliances provide important benefits to member airlines, most notably the ability to achieve worldwide scope without full mergers. Various national laws prohibit such mergers across national lines, but alliances provide many of the benefits that full mergers might otherwise provide, if legal. 1. Through fares, through ticketing and through baggage checking. 2. Same-terminal, adjacent-counter check-in facilities at major hubs (a big help to minimize connecting problems) but this remains a long-term objective rather than a reality at many airports. 3. Reciprocal and alliance-based online booking with various computer and smartphone applications. 4. Multiline regional and round-the-world visitor tickets. All alliances offer at least some, with the largest number available on Star. 5. 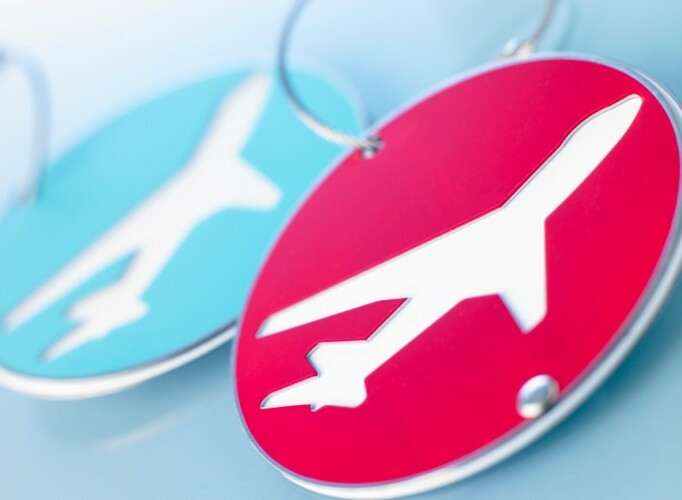 Mutual recognition of frequent-flyer-mileage earnings and award-travel benefits. Still, however, some alliance members do not award full mileage for travelers on low-fare tickets, and some demand “fuel surcharge” copayments for supposedly “free” award travel. 6. Mutual recognition of high-level frequent flyer status, with some remaining gaps. 7. Reciprocal admission to airport lounge programs, again with some remaining gaps. Although the alliances have made some noise about product consistency, that result seems a long way in the future. For now, different members have varying policies about baggage fees, cabin services, and the like. Some members have first class, others don’t; seating standards vary considerably in all classes, and the Asian and European lines favor real premium economy while the three big U.S. lines are sticking with semipremium (extra legroom only). Unfortunately, any moves to standardize on these matters will probably descend to the lowest common denominator, which is a very bad result for consumers. Obviously, another worry for consumers is that alliances tend to lessen competition. Although hard data are impossible to develop, many consumer advocates fear that close alliances will inevitably result in higher fares. All in all, at this point you’re likely to find that alliance benefits outweigh drawbacks, so it’s a good idea to include alliance implications when you arrange travel outside North America. But pay close attention to reduced frequent flyer earnings on foreign lines, and schedule the U.S. member line when you can. Long-term reduced competition never did any consumer good. But the final verdict isn’t in yet.